Your list of things to see and do now includes Rue Mouffetard Market, Passage Verdeau, Passage Jouffroy, and other attractions. Your inner history buff will appreciate Palace of Versailles and Basilique du Sacre-Coeur de Montmartre. Venture out of the city with trips to Cathedrale Notre-Dame de Rouen (in Rouen) and Cimetiere Saint-Sever (in Le Petit Quevilly). And it doesn't end there: don't miss a visit to Eiffel Tower, appreciate the history behind Arc de Triomphe, shop like a local with Champs-Elysees, and admire the landmark architecture of Sainte-Chapelle. 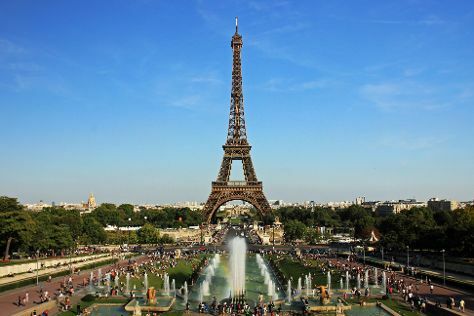 To find ratings, maps, photos, and other tourist information, go to the Paris road trip planner . If you are flying in from Canada, the closest major airports are Paris-Orly Airport, Charles de Gaulle International Airport and Paris Beauvais Tillé Airport. In April, daily temperatures in Paris can reach 18°C, while at night they dip to 6°C. Finish your sightseeing early on the 18th (Sat) so you can travel back home.